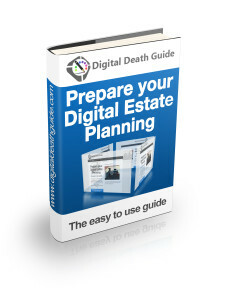 Have You Completed Your Client’s Digital Estate Plan? 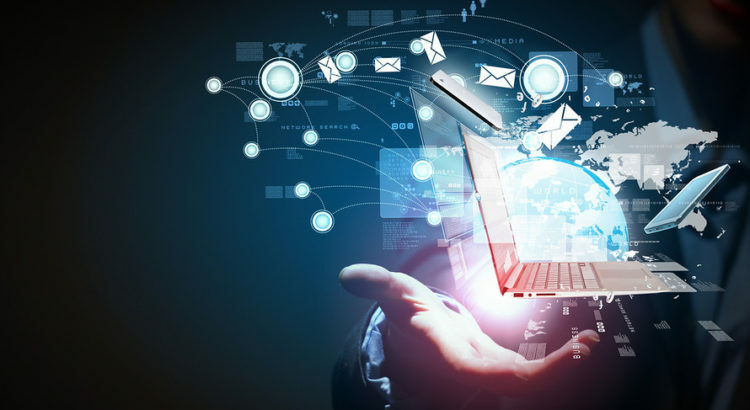 Experts have estimated that the average adult with access to the internet has more than 25 internet accounts! In the past, we kept albums full of snapshots, vinyl records and shoeboxes full of correspondence. Now our photos are all on Flickr and IPhoto, our music is downloaded from ITunes and our correspondence is email via Yahoo or Google. And probably more important than that, a lot of your clients bank and investment accounts may be entirely online.! The family of Ricky Rash, a 15 year old who committed suicide in 2011, discovered how difficult it was to recover information from their deceased son’s internet account. In an effort to understand why he had taken his own life, they requested but were refused access to his Facebook account. Facebook claimed that according to the Stored Communications Act of 1986 – the federal law that governs the protection of a person’s electronic data – even the account of a minor is protected from access by his parents or anyone else. Other sites and providers interpret the legislation this way, making access all but impossible. 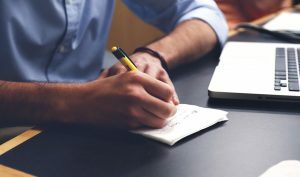 There are only five states that have taken any steps to help recover the internet data of a deceased person—Indiana, Idaho and Oklahoma legislation covers social media and blogging accounts, while Connecticut and Rhode Island legislation covers only email. instructions for the disposition of the account including the person to oversee such disposition. There is a whole new industry that has been created to service your clients’ digital estate , a new digital estate planning service. Your clients can create an account and then enter their user names, passwords and wishes for each of their digital assets. They can specify an heir for each account; Legacy Locker will provide heirs with information after the account holder’s death is verified. There are also online memorial services to celebrate your client’s life. These services enable your clients to create their own memorials before they pass away. Facebook and Twitter also offer these services for family members. The importance of having a digital estate plan will increase as more and more of our assets (and access to assets) are online. 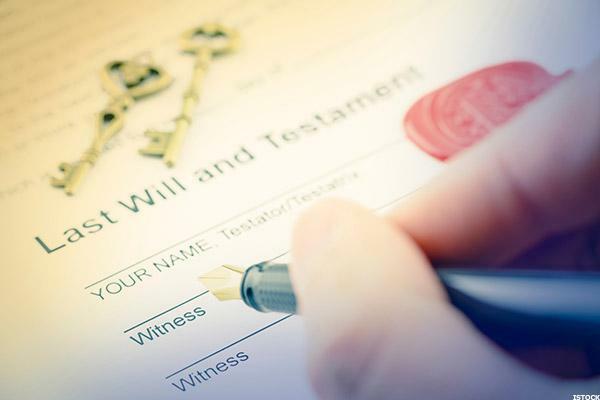 Gradually laws will evolve to give family members access to deceased loved ones’ accounts. It is important to prepare your clients for the disposition of their digital assets now so that family members will not be unpleasantly surprised when they attempt to uncover them. If you want to explore digital estate planning in more detail feel free to wander around. The May 2013 issue of the Internet Law Researcher newsletter (which is available to members of the Duke Law community through Westlaw‘s GLILR database) rounds up a bibliography of legislation and articles related to digital asset estate planning. To locate the article in Westlaw Classic or WestlawNext, use the citation 18 No. 5 Internet L. Researcher 1. Planning for death has always been an uncomfortable and difficult topic for most people, and the growth of social media and other online accounts has added a new layer of complexity to sorting out the affairs of the recently deceased. Author Ken Kozlowski describes the current situation as “a big mess” in which “the federal Stored Communications Act (SCA) [is] being cited as a reason for services such as Facebook to withhold access to deceased individuals’ accounts, passwords, stored photos, etc.” Five states have passed legislation related to control of deceased individuals’ online accounts, and undoubtedly more state legislatures will follow suit. The Internet Law Researcher article recommends a number of publications from legal and mainstream sources, including the recent law review student note by Maria Perrone, What Happens When We Die: Estate Planning of Digital Assets, and the blog Digital Passing. 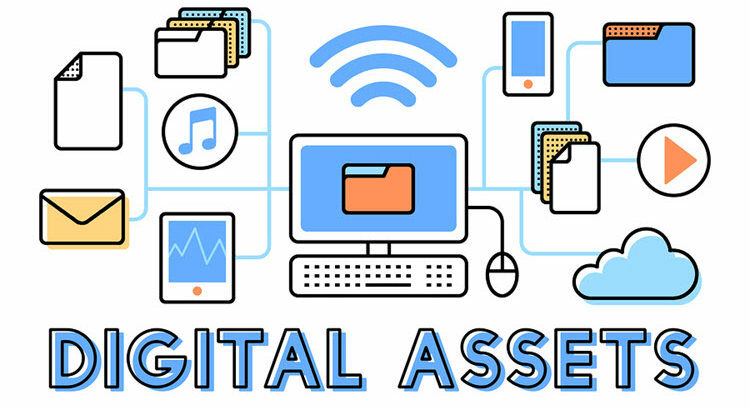 The recommended resources offer tips for developing a plan to handle digital assets after death, and serve as a good supplement to the Goodson Law Library’s collection of estate planning guides, most of which do not discuss digital assets in detail. What Does Managing a Loved One’s Digital Legacy Look Like? With digital privacy in the media spotlight and digital estate planning resources entering our mainstream consciousness, many of us have been inspired to think about the end of life and our online selves. And we should. Hundreds of thousands of Facebook users die each year, the average American believes that she has almost $55,000 worth of digital assets, though most of us — 70 percent — don’t even have a will, and few states have laws governing what happens to our internet accounts when we die. The sheer magnitude of our digital lives can overwhelm us into inaction, thus we need real life inspiration. 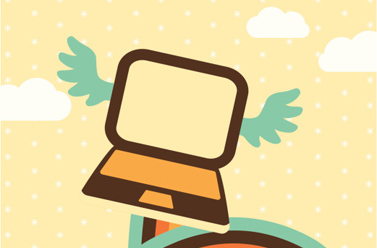 What does managing a loved one’s digital legacy really look like? Meet Courtney. * She represents the average family caregiver: 34 years old, a full-time nurse, mother to a pre-teen daughter, with a half-brother who lives several states away and a younger brother in the military. Like many Americans, she lives on-line, utilizing at least 25 password-protected sites on different computers and a smart phone, where she stores and shares the vulnerable, mundane, and whimsical in her life while connecting to family and friends. Before her mother’s illness, she had thought little of her own digital assets, let alone those of anyone else. When she joined the one-third of the US population who provides care for an ill, disabled, or aged person — two thirds of whom are women, shepherding her terminally ill mother’s online presence in life and after her death became very important. We use Courtney’s story to give us a glimpse into the questions, tasks, unexpected dilemmas, and benefits that await us in caring and grieving in the digital age. The news that her 58-year-old mother faced terminal cancer shocked Courtney and propelled her into caregiving action. Drawing on her nursing background and love of organization, Courtney created spreadsheets to track her mother’s medications and the signs and symptoms of her disease. She and her mother searched disease progression and treatment options on-line, making lists of questions for her doctors and finding support groups. Courtney also began a private blog, tracing her mother’s stays in the hospital, and she treasures pictures stored on her phone of her mother’s last Halloween, hospitalized but still trick-or-treating at the nurses’ station. As her mother’s condition declined, Courtney realized that her own comfort level with sharing her personal story through digital media and her mother’s were different, and her mother’s wishes took precedent over her own. For example, she considered using a caregiving site likeCaringBridge to help her mobilize support, but her mother’s wishes for a high level of privacy during her illness meant private e-mail messages and texting were best. Before her mother’s illness, Courtney shared her life’s ups and downs regularly on Facebook and Twitter, but now she tried to follow general digital etiquette advice as best she could, speaking only from her perspective as a daughter, refraining from telling her mother’s story without her permission. Most of the time, though, she found herself too exhausted to share anything and used Facebook to unwind, living vicariously through the pictures, status updates, and tweets of her friends. Courtney soon realized that she did not know what digital accounts her mother had, let alone what she would want done with them in the future. On one of her mother’s stronger days, they sat down to begin sorting through her digital life together. Clicking through her mother’s Shutterfly, Pinterest, ITunes and Facebook accounts became an opportunity for reminiscing. Because most digital accounts are non-transferrable, they decided what material needed to be saved to her computer’s hard drive, which accounts to close, and which accounts to leave active, like her Facebook page which she still enjoyed using to keep up on her distant grandkids and childhood friends. It was weird, because I’d only told a few people that she was dying. I learned that a family friend had been posting detailed updates about my mother’s last moments, and never checked with us about whether we wanted privacy and time. I was very hurt by that. I just felt like the world needed to stop. Upset that her brothers might learn of their mom’s death on Facebook and not from their sister, she called them immediately. For several days, Courtney tried logging in to her social media accounts, but seeing her mother referred to in the past tense overwhelmed her. She wanted to scream to her well-meaning friends, “I am not ready for my mother to be a “was” yet!” Courtney turned off her phone and asked her best friend to become her family’s informal digital proxy by posting updates from the family on Courtney’s Facebook page, including logistical information about the funeral service and burial. In turn, her friend shared with Courtney the many appreciative comments about her mother’s life from social media sites and from the on-line guest book for her mother’s obituary. Inevitably, time passed, and Courtney began the long journey of grief, incorporating the death of her mother into her own life story, gaining narrative resilience word by word, click by click. Through Facebook, she gained access to memories and stories from the geographically dispersed group of her mom’s friends, even learning from them how much her mom appreciated the sacrifices she had made to care for her. She still views her mom’s Pinterest board, savoring those unique ideas and dreams. Courtney and her brothers have committed to weekly Skype dates, where they check in and stay connected as they each grieve their mom in their own ways. They have already taken the step of memorializing their mother’s Facebook page, mostly to have closure and to ensure her privacy will be protected. Courtney’s story reminds us that even if we personally plan for the management and bequeathal of our digital assets and story, a trusted loved one will be the one to carry out our wishes. Some families could benefit from legal counsel, but much can be done informally, as we saw with Courtney’s family. The critical first step is recognizing how digital assets can both provide support and — paradoxically — overwhelm without careful management. The next step is deciding how best to use those assets. Like Courtney, daughters will most likely be the ones to initiate the conversation, but not all of us will have the luxury of time and ability to talk about what we wish. The time to plan for our digital legacy, both assets and story, is now. Far surpassing any monetary value, our digital narrative assets hold tremendous sentimental value for those who will find comfort and meaning from our cloud of digital witnesses. *Courtney’s name has been changed to protect her privacy. She represents one of the Gen X interview cohort interviewed by Amy Ziettlow and Elizabeth Marquardt for a forthcoming book on 21st century caregiving and grief. The so called GenY has been growing in a different age than their parents. The digital realm has taken over some aspects in everyday life, and that’s something we will have to live with. We previously had photo albums, scrapbooks, handwritten journals and letters, pieces of ribbon and shoeboxes to rule them all. If you wanted to get back in time, you just had to open these shoeboxes, carefully hidden in the basement or stored in the closet behind a pile of blankets. Today, we do have dvd of photos, social media accounts, Facebook statuses and emails ; even the diplomas you are getting from your online courses are PDFs, not pieces of paper framed and proudly displayed behind your desk. Cyberspace is getting a hold on these precious memories. And that may be an issue in terms of memories and privacy. Most of our online accounts are locked behind passwords, and without proper guidance, memories may arise once again when you would have liked them to disappear, or those precious memories, photos or videos that you had with a love one may be deleted from cyberspace. That’s why you should take action right now, read more on the howtos, and prepare a list of your legacy, with proper instructions and beneficiaries !